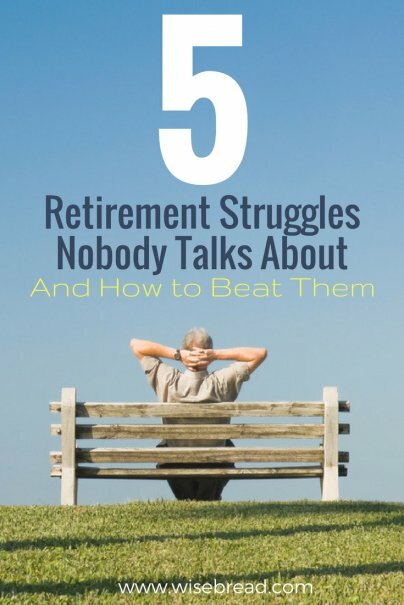 If you have ever sat down with a financial planner, you know that one of the main questions that comes up is, "How much income do you think you'll need when you retire?" When I was asked this question, the first answer that popped into my head was, "Hardly any!" In the retirement scenario in my mind, my kids were independent and my home was paid off, leaving few financial obligations. When pressed, I acknowledged that I might need some money for taking fun vacations with all that free time I'll have, and for buying gifts for my grandchildren. Let's go through some of the retirement expenses you may not have accounted for, and how to deal with them. While other expenses shrink after retirement, medical care spending increases. In the present day, the increase is modest. The same U.S. General Accounting Office report found that retirees ages 65 to 79 spend an average $5,000 a year on health care, compared to $3,900 for workers aged 50 to 64. But predictions for future health care expenses in retirement are dire. HealthView Services' 2017 Retirement Health Care Costs Data Report predicts that medical costs will rise 5.47 percent per year for the foreseeable future — meaning that today's 65-year-old may be spending $10,000 or more per year on health care by age 75, on top of Medicare coverage. "Health care will be one of the most significant retirement expenditures; however, the savings required to cover this expense may be modest — especially if one has been utilizing an income replacement ratio (IRR) of 75% to 85%," warns the report. Managing health conditions proactively can also make a big difference in expenses over a lifetime. "A 50-year-old male with type II diabetes can save (an average of) $5,000 per year in pre-retirement health expenses by shifting from Poorly Managed to Well Managed care," the report says. You might expect your income tax to disappear or decline steeply when you retire, but remember that withdrawals from 401(k) plans and traditional individual retirement accounts are taxable, as are most pensions and some Social Security benefits. If your retirement plan involves collecting rent on properties you own, well, that's taxable too. And if you have paid off your mortgage before retiring, remember that you just lost a big tax deduction in the form of mortgage interest payments. Another thing to consider when retired is whether you plan to make charitable donations part of your estate plan. If you were going to give away thousands of dollars to charities in your will, for example, discuss with an accountant setting up a schedule of giving while you're alive, instead, so that you could take annual tax deductions that could reduce or eliminate taxes you owe. In recent years, inflation has been low, but the long term average annual rate of price increases is 3.22 percent. That means that if you retire with benefits and savings designed to cover 80 percent of your current income, those same benefits will cover a smaller portion of your current spending each year, if not invested to grow at a rate faster than inflation. This is why financial planners never advise keeping your life savings in cash, stuffed in a mattress. When you plan your retirement, you're likely thinking more about all the golf you want to play or the traveling you want to do, not so much about spending your final years in a nursing home or planning your funeral. Unfortunately, those less fun expenses must also be planned for. Medical expenses tend to jump in the final years, costing about $7,000 to $8,000 more per year in the last two years of life, according to HealthView Services. The moment you turn age 70 and a half, you are required to take minimum distributions from your IRA, 401(k), and other retirement accounts on a schedule set by the IRS. This doesn't sound like a problem — after all, this is what you saved all that money for. But what if you don't need to spend the required distribution this year? Unfortunately, you still have to withdraw it, and pay taxes on it, or the IRS will confiscate 50 percent of the money you were supposed to withdraw in the form of a tax penalty. While you can't change the IRS's schedule for required withdrawals, and you can't roll the distribution into a different tax-deferred account, you can plan for this requirement and schedule income and spending around it. For instance, you can avoid selling real estate or other investments, or scale back work hours if you are still working, and allow the income you are getting from your retirement account to replace other income. And of course, you can always invest your distribution outside of retirement accounts, if you don't need to spend it. Another way to conquer the mandatory distribution is to plan for it while saving for retirement, for example by putting some income into a Roth IRA, which doesn't have required distributions. As you approach retirement, if your IRA distributions look like they will be too large for you to use, you may also talk to a planner about converting a traditional account into a Roth.